I have recently introduced my girls to those "Choose Your Own Adventure" books that I LOVED as a kid. In fact, last night while I was in the kitchen doing kitchen-y stuff, Pazely sat at the dining table & read one of those books to me, letting ME choose my own adventure. At one point I had the option to join a tribe, be their leader & help free them from the oppressive ruler of the land, OR decline the tribe's offer to be leader &, instead, escape from the island. I told Pazely, "Well, I'm gonna miss you & Zoey, but I feel that the right thing to do is to become the leader of the tribe." She said, "Mo-ooom! It's not real." (Haha!) In the end of the story, I was thrown in a dungeon where the oppressive ruler contemplated my fate. 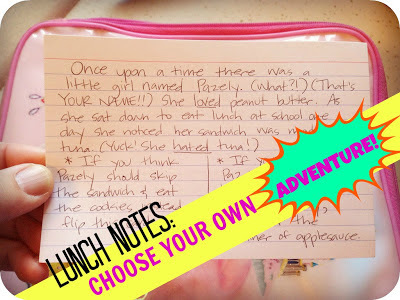 Anyway, it got me thinking this morning: Why not make a "Choose Your Own Adventure" lunch note??? 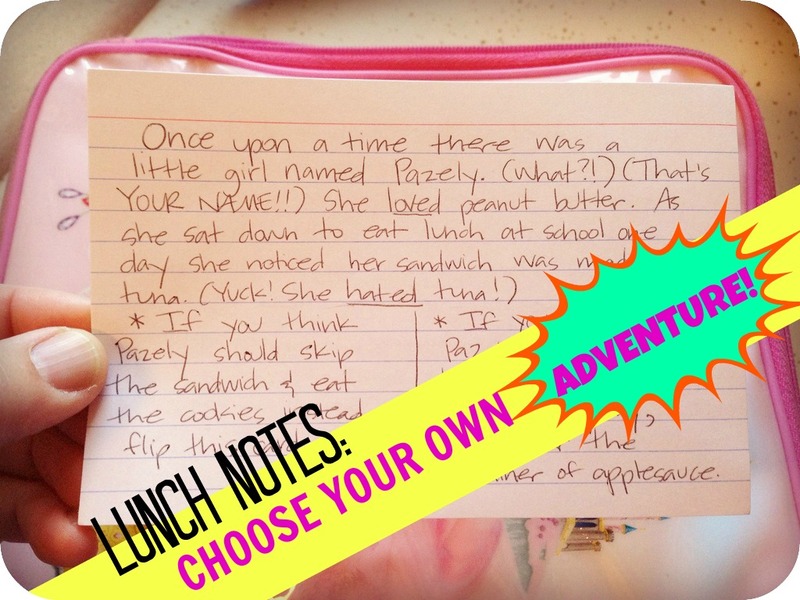 Now, this lunch note idea does take a little thinking & a bit of time. But not much. Seriously, the more silly & nonsense-ical, the better! You could, of course, let the story go on, giving your lunch eater another option. 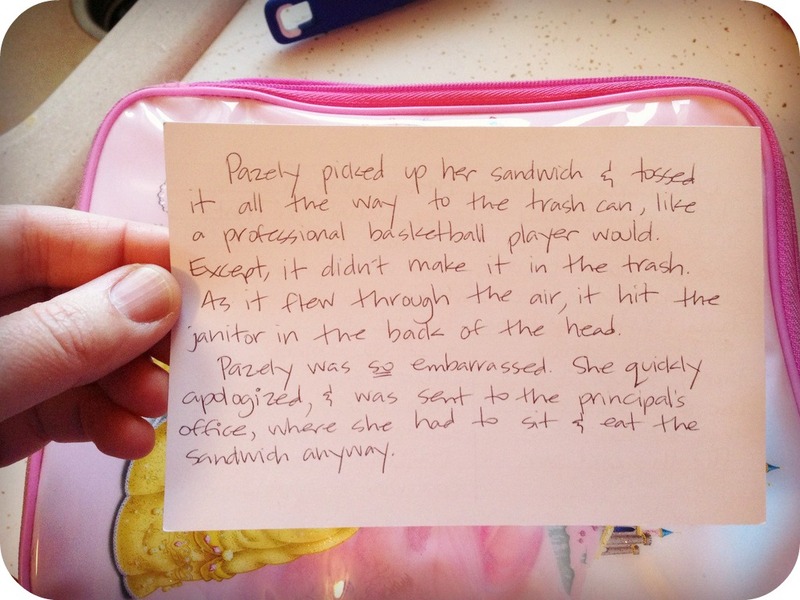 (Tape another note around their juice bottle, tuck a note in their napkin, adhere a note to the lid of their lunchbox, etc.) But I kept it simple & brief. Find my collection of original "Lunch Notes" ideas by clicking HERE. You could also do a story by installments - start it on Monday, give her two choices and let her circle her choice. 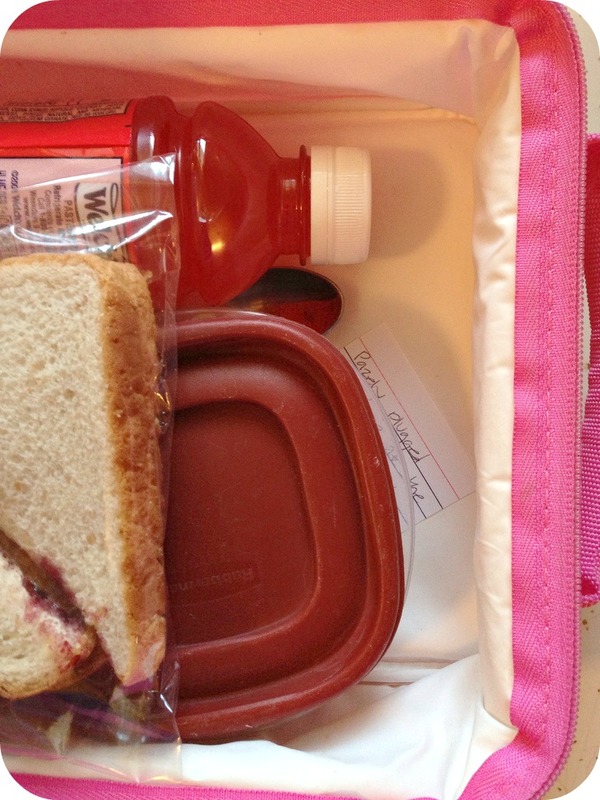 You see her circled choice when unpacking the lunch box after school and continue the story tomorrow and through the week. 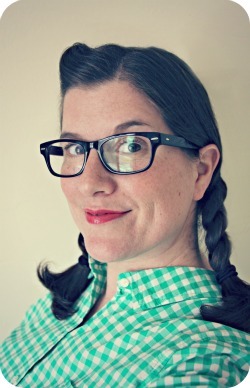 You're such a smarty pants. I only make my kids' lunches once a week, so it prolly wouldn't work as well for me, but what a great idea for the daily lunch packers!!! Your funny! And yeah, it wouldn't really work for you.